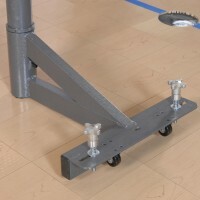 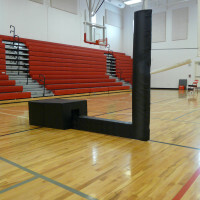 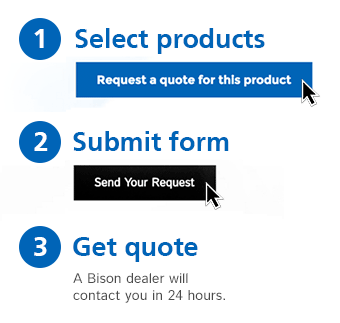 Portable Systems - Bison, Inc.
Once you’ve ruled out drilling holes in your gym floor, selecting portable systems for your volleyball courts isn’t a simple task. 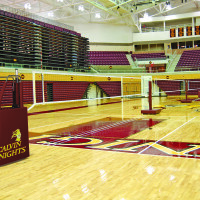 Bison offers two truly freestanding volleyball portables but also provides options for converting your existing volleyball standards to portables. 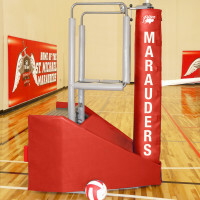 Order court adders to create side-by-side courts and don’t forget base and post padding in your choice of school colors for added safety!